Green sea turtles are one of the world’s largest species of turtle, weighing around 65-130kg and measuring between 1-1.2m long. They have a strong, tear-drop shape shell, called a ‘carapace’, which covers most of their body, except for their head and four flippers. Their carapace can include shades of different colours, including dark brown, green, olive, yellow and black. Did you know that we have a FREE downloadable Turtle conservation primary resource? Great for teachers, homeschoolers and parents alike! So, why are they called “green” sea turtles, then? Well, these cool creatures are named for their layer of green fat that lies under their shell. Scientists believe this unusual quirky-coloured fat is the result of their veggie diet – unlike most other sea turtles, the green sea turtle eats marine plants such as seaweed and sea grass. These top turtles can be found nesting along the coastline of more than 80 countries around the world, with the largest nesting populations found in Costa Rica and Australia. 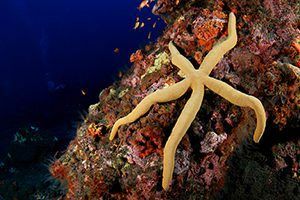 But they like to spend most of their lives underwater, where they can rest for up to five hours at a time before coming up to breathe. 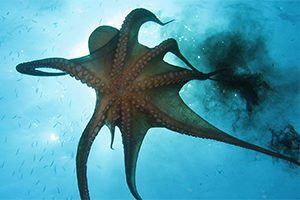 When feeding or travelling, however, they pop up to the surface every three to five minutes for a few seconds of air, before diving back down. Similar to other sea turtles, such as the leatherback and loggerhead, green sea turtles migrate long distances between their feeding grounds and their mating-nesting sites, with recorded distances longer than 2,600 kilometres – that’s further than London to Athens in Greece! Super-strong swimmers, they propel through the water using their strong paddle-like flippers. And whilst these awesome animals like to cruise along at around 3km, if threatened they can reach speeds of up to 35km/h. Adult green turtles breed by the beaches where they were born. 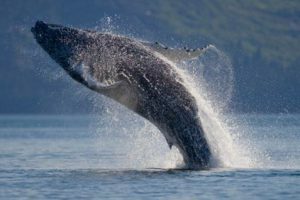 Females usually travel thousands of miles from their feeding grounds back to their ‘natal’ or ‘hatching’ beach every two to four years, where as males may make the journey annually. After mating in the shallow waters offshore, the female crawls onto the sandy beach, digs out a nest with her flippers and lays a clutch of about 115 eggs. She then covers the eggs with sand and returns to the sea. After about two months, the babies will use a special “egg tooth” to break their shells and hatch from their eggs. But when they do, the race is on, and they must immediately make a treacherous journey across the sand to the water, avoiding predators such as birds, crabs, wild dogs and lizards along the way! The first few years of a green sea turtle’s life are spent floating at sea, where they feed on plankton. As they grow older, the turtles move to shallow waters along the coast, such as bays and lagoons, where they find sea grass to eat. Credits – Green sea turtle on the sand on the ocean floor: Dejan Sarman, Dreamstime. Green sea turtle swimming above coral on the ocean floor: Aquanaut4, Dreamstime. Green sea turtle on a beach: Steffen Foerster, Dreamstime. Green sea turtle closeup on the ocean floor: Richard Carey, Dreamstime. Green sea turtle above coral: Simon Gurney, Dreamstime. green sea turtle swimming underwater. Idreamphotos, Dreamstime. wow the green sea turtle is very awesome and wide travellers. the green sea turtle is even threatened by rubbish. I love all animals! I would have to say the green sea turtles and sharks are one of my favorites though. Thats amazing how the green sea turtle can swim 2,600 kilometers! Random facts made me and my mum gasp and say:I had no idea that was true!!!! This really helped me with my research homework !! I recommend this 10/10 for sure!! Thats amazing how the green turtle goes and takes a breath after 5 hours! I wonder how far can the green turtle go underwater? wow! this is sooooo fascinating!! We loved this information report! It was very informative and gave us a new perspective on green sea turtles. Find out all about these incredible invertebrates! Ernie the overweight turtle goes to bootcamp! 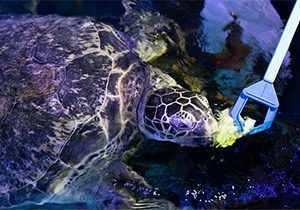 SEA LIFE Manchester’s resident sea turtle, Ernie, is on a health kick!